The phrase – email marketing is one of the best ways to generate new leads – has been said over and over again. This gives way to another most common phrase in the marketing world – “Money is in the list”. And this is 100% true because, despite the rampant use of social media and other platforms, email marketing still remains at the top. 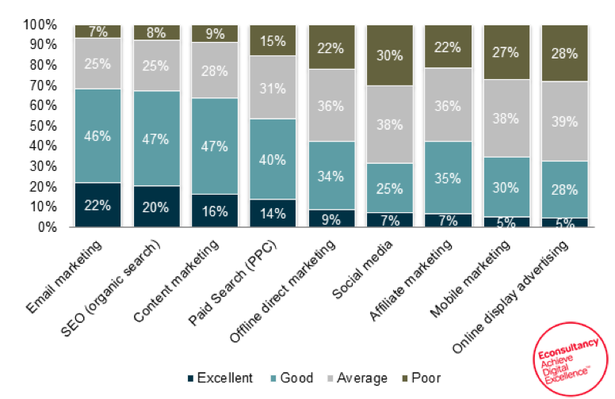 According to a 2014 survey, email marketing was ranked as the best channel in terms of return on investment, with 68% of companies rating the channel as ‘good’ or ‘excellent’. But how would you compel people to subscribe to your email list? Why would they even subscribe? Because people hardly wake up in the morning to be bombarded by emails. In this post, we will answer all these questions that will help you build an email list for your business right from scratch. 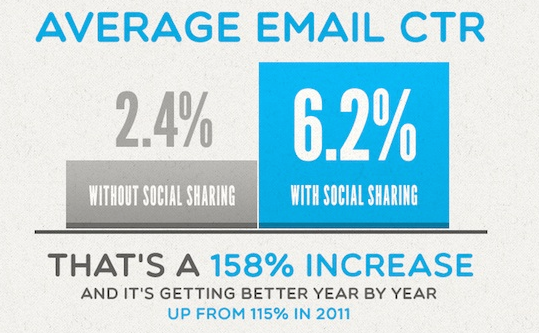 Research conducted by GetResponse showed that emails with social sharing options boosted the CTR by 158%. Also, you would be surprised to know that the average CTR for emails with social sharing options is 6.2% versus 2.4% without. This means that when you send out emails of your blog articles which have inbuilt or direct social sharing options, these emails get more attention and since these are shared on social media, it attracts more people to subscribe to your site. Tools such as AeroLeads, Data.com, Hoovers, InfoUSA etc., enable you to build email lists easily and in an organized manner. Some of them have their own existing lists, whereas some build the list in real time. These tools come as Google Chrome extensions and other browser add-ons to enable ease of use and save time as well. Reverse email lookup services can also come in handy. You can use these tools in various combinations to find your niche. This new tactic, with the rise of digital marketing and online branding of ventures, has evolved the age-old “word-of-mouth” concept into a new way of engaging more clients in a shorter time span and with actually less effort from the business. Consider this an automated process that makes the customer work for your prospects. All you have to do is, to provide a small incentive to state why the customer needs to refer his fellow associates/ friends to your business. For example, when the customers avail the services of a company, they will provide the customers with a certain amount of credits when they refer another person. The more they refer the more credits they can get. This is an efficient way of procuring the emails of new customers. Here’s another example of referral marketing. 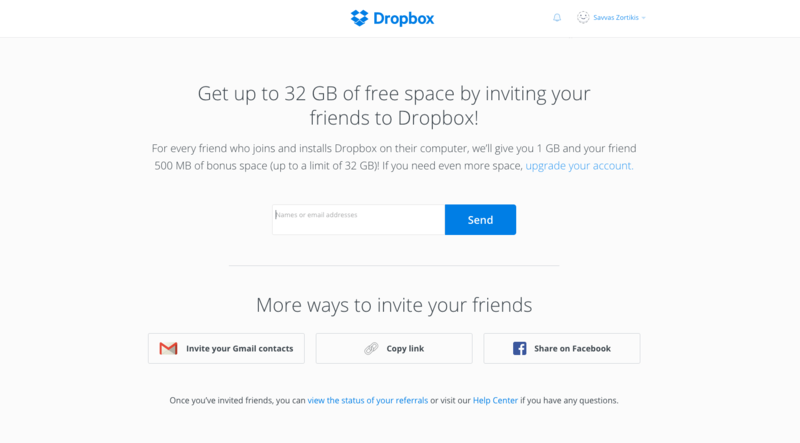 Dropbox offers their customers up to 32 GB of extra free space just for referring their services to their friends or colleagues. This way they create a referral chain which keeps on increasing their email list. The more you engage with people, the bigger will be your email list. Secondly, why would people subscribe to your email list? What’s in it for them? Give your audience a reason to subscribe to your email list by hosting a giveaway. Please note that hosting a giveaway won’t serve its purpose unless you are offering something noteworthy. What exactly do we mean by noteworthy? It means that you have to giveaway something compelling enough, something your audience is interested in. 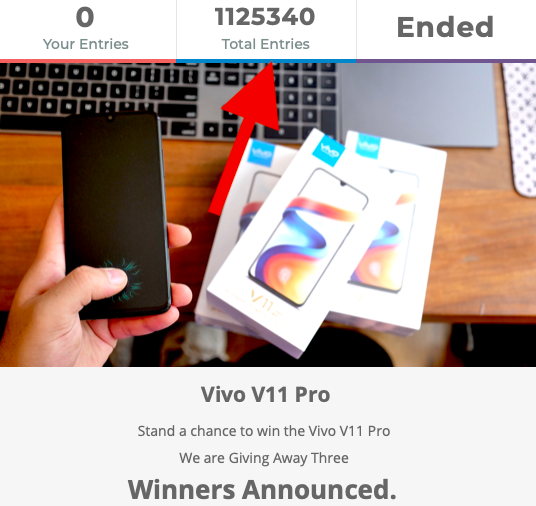 For example, this tech blog hosted a giveaway of smartphones and saw massive traction. In return, the company got what they wanted – likes and new subscribers. Giveaways don’t always guarantee you productive leads, but if you offer exactly what your target audience wants, then it can surely help you achieve what you want. Apart from building the email list, giveaways are a way to increase goodwill with the subscribers that are already invested in your content or brand. We are not telling you to just add CTA’s to your email copy or your landing page because we are sure you already know that. But the point is to make your CTA’s witty and humorous to attract customer’s attention because the same-old, bland CTA’s are not as effective. So try to inject some personality in your CTA and avoid using the regular “Yes” or “No” offers. For example, I always crack up when I see CTA’s like, “No thanks, I hate presents”. Also, I can’t help but click every time I see a CTA that says “get this for free”. And this is the point, right? To compel your audience into clicking the CTA. I recently came across this wonderful CTA by a clothing brand. So, this brand is clever enough to not add a CTA that simply says “No”. If you click on “Yes, take me there” – you are going to be directed to their product page. Even if you click on “Hmm, what’s next, although you will be redirected to some other page, you will still navigate on their website only. It’s an absolute win-win situation for them. If nothing else works out for you, then homepage smart bar is worth a try. Most professionals like this option for their website because unlike popups and other options, you don’t have to change much. A Smart Bar simply stays at the top of your website even if the audience changes the page on the website. 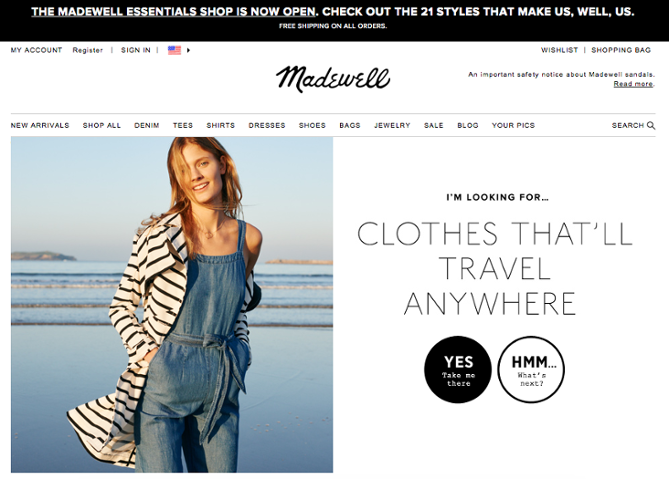 Have a look at how this brand leverages their homepage smart bar. The best part is that it doesn’t look forced or annoy the audience as popups do and yet can add tremendous value to your email list. What worked out for you? These were some of the easiest and most common things you can do or add to your website to build an email list. It is worth mentioning that do not use tactics that might annoy your audience. An annoyed potential customer will not think twice before abandoning your brand altogether. So, how did these strategies turn out for you? Do you want to mention more ways to build an email list? Pingback: How to Build a Business Database of Contacts with Emails?